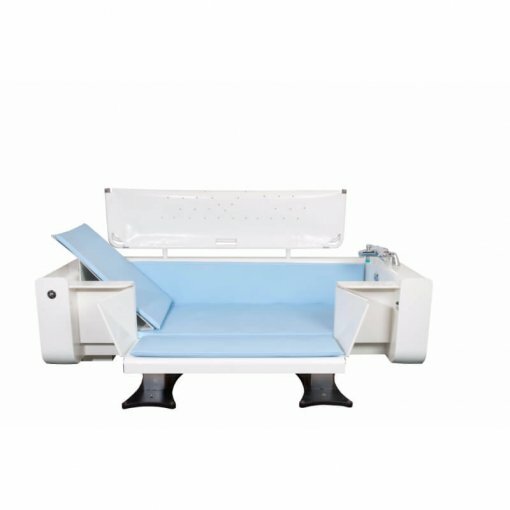 The Astor-Bannerman Vanna height adjustable bath with powered side opening door gives the client and the care giver much greater freedom and control through day to day life. 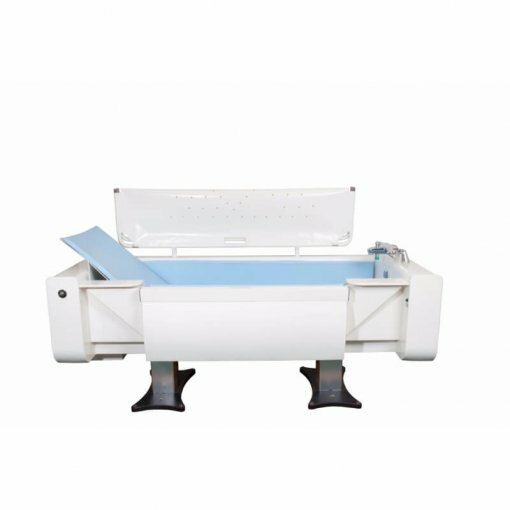 With its simple elegant design, this assisted bath with side door entry allows for easy access in and out of the bath with or without a hoist. 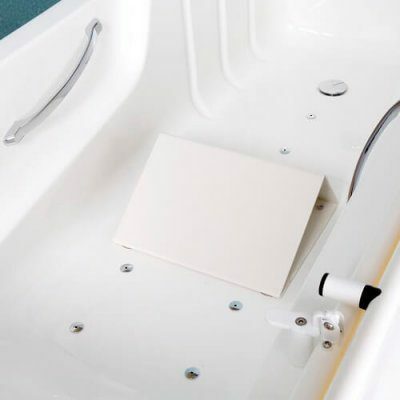 Operated by a handset control, the height of the bath can easily be adjusted at the touch of a button and also allows for the powered door to be opened and closed for quick and easy transfers. 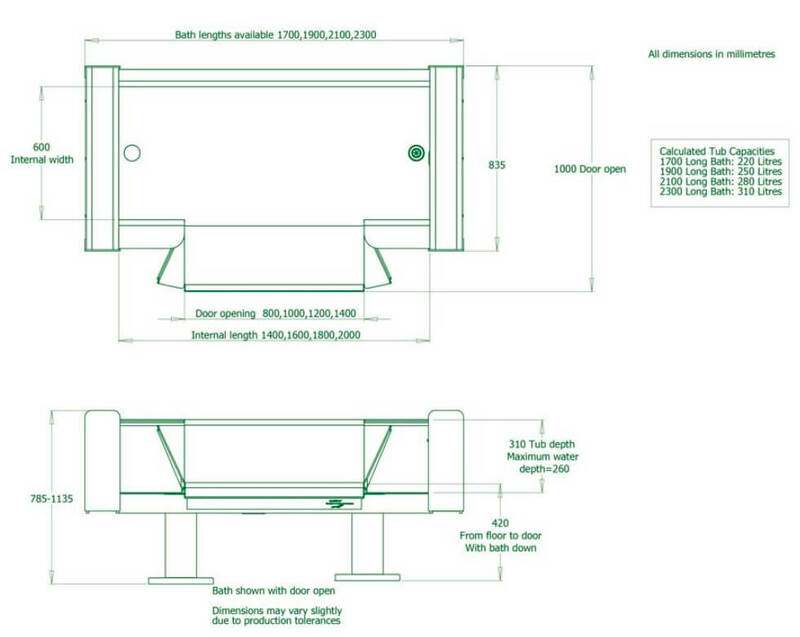 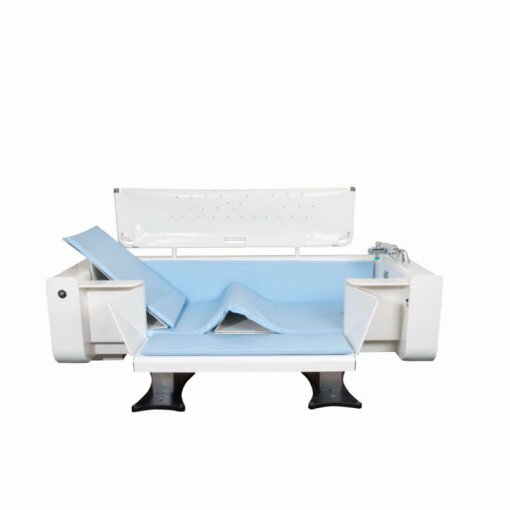 The Vanna height adjustable bath with side door has a generous lifting capacity of 300kg/47¼st and comes in 4 different lengths from 1700mm to 2300mm giving both clients and the care givers the control to do more. 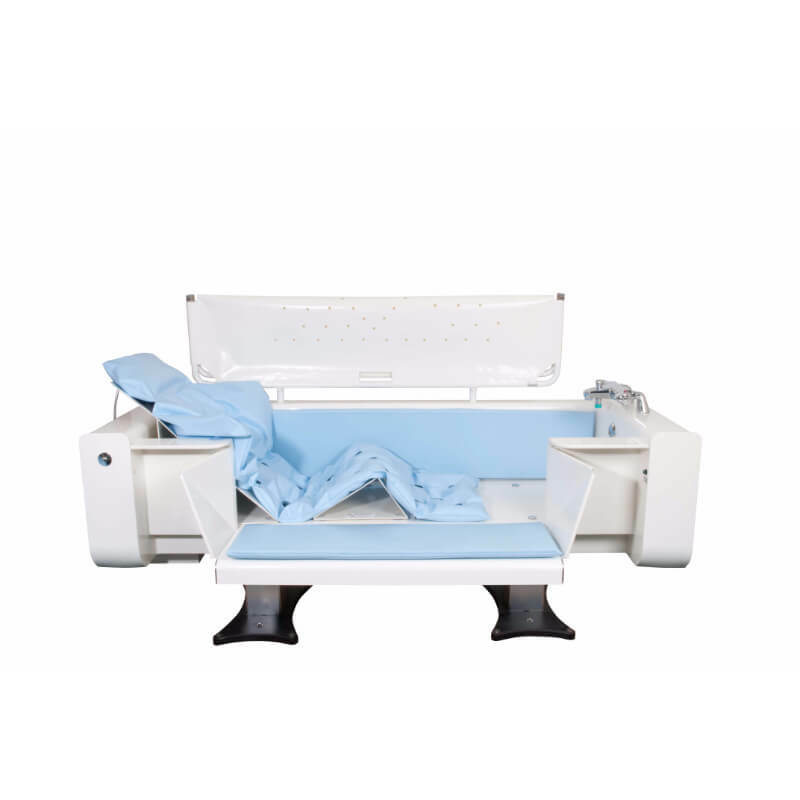 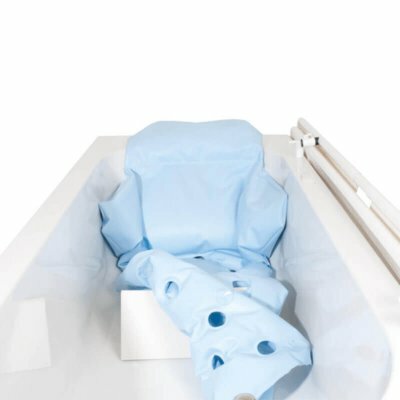 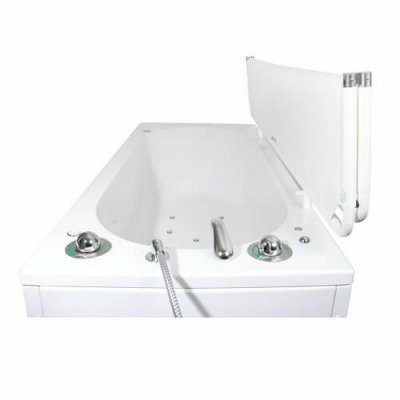 This assisted bath comes with a full set of waterproof padded cushions and supportive back rest as standard to assist with various complex needs and is customisable with the addition of optional spa system, light therapy and more options. 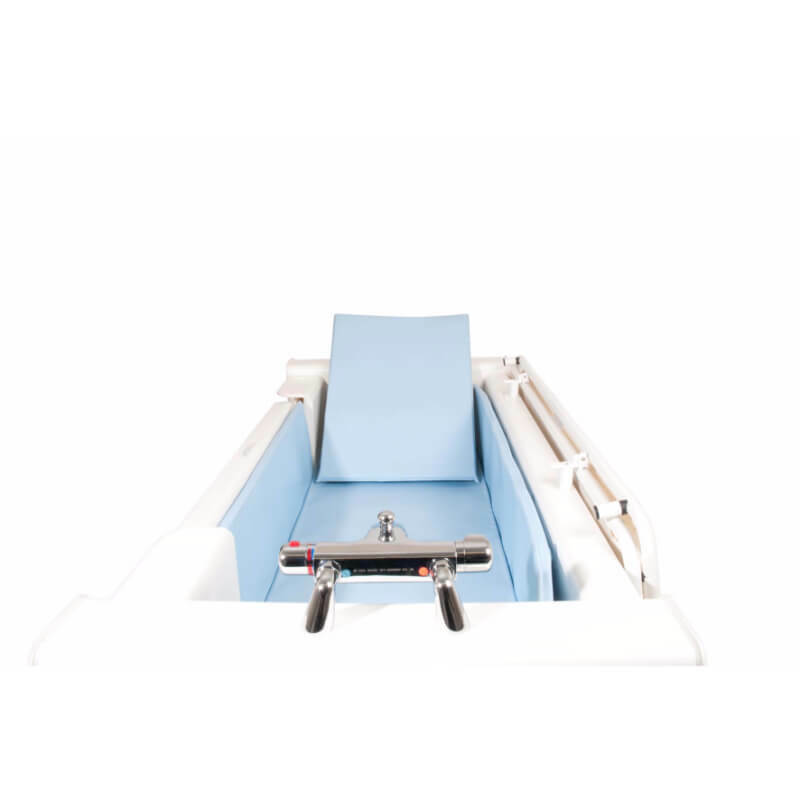 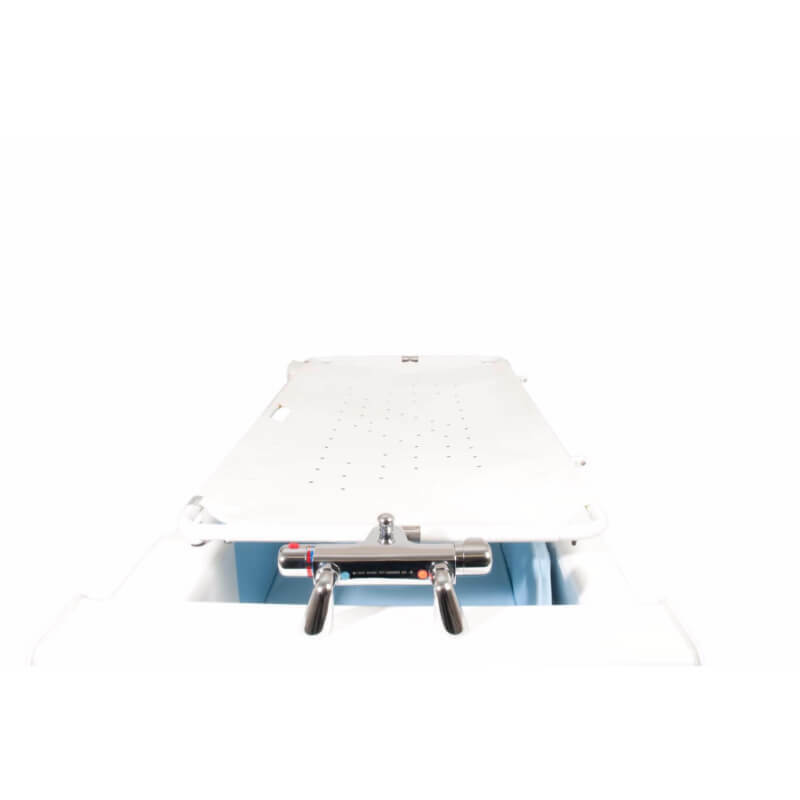 The Vanna bath has a 3 year warranty* and can also be fitted with the Astor-Bannerman patented Neatfold stretcher, which is ideal when using a hoist for showering, dressing and changing, as well as WRAS gantry system which is perfect for multi-user environments.